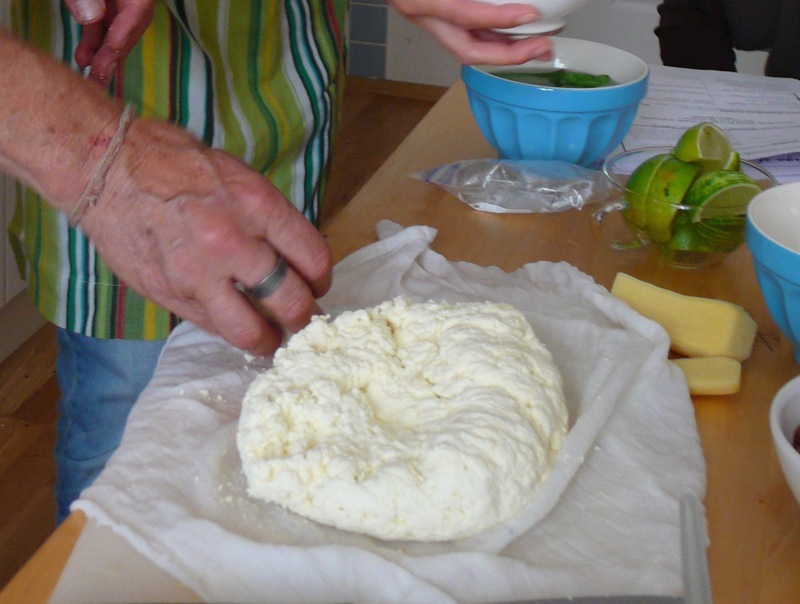 Making paneer is a true wonder and miracle in the Ayurvedic Kitchen. 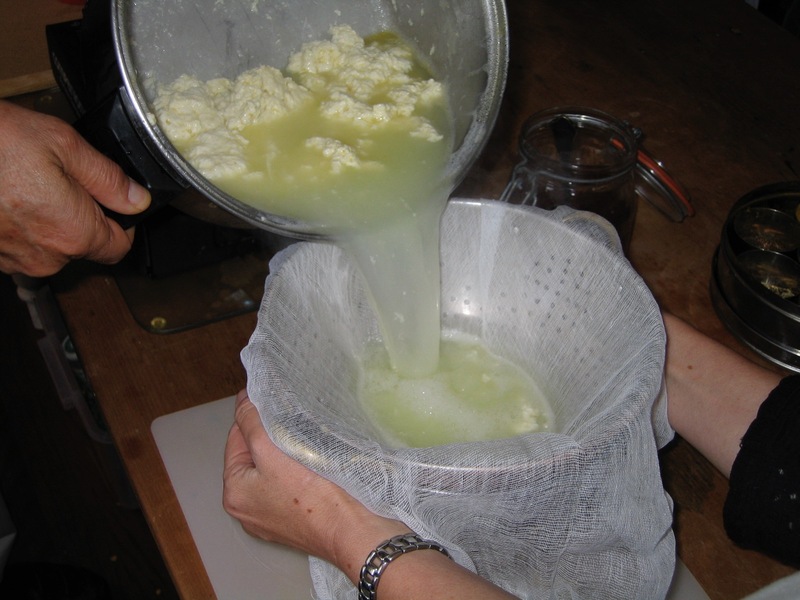 Milk is transformed, in front of your eyes, into the most nourishing moist fresh cheese (not unlike ricotta). 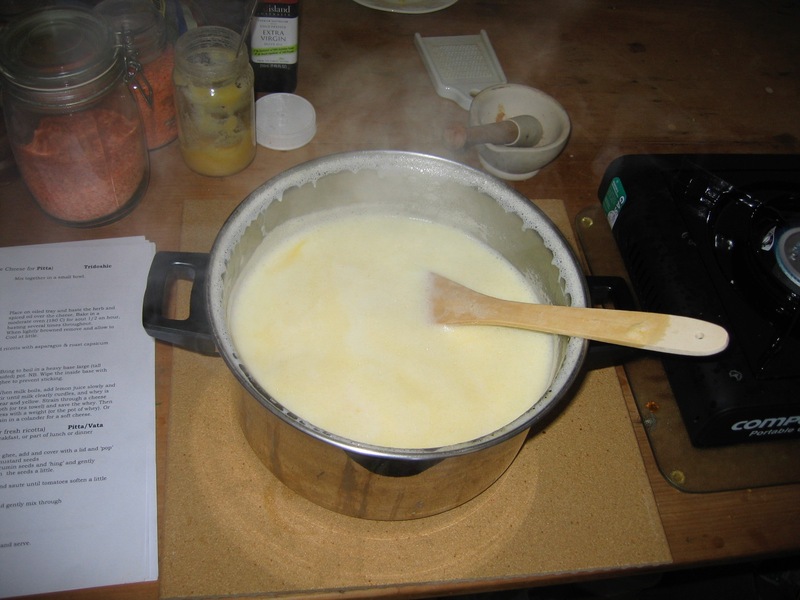 It does not take long, and is so satisfying to do…… Just milk and lemon juice (or yoghurt). First: Get Good Milk (see ‘Milk Un-homogenised’ in Ingredients). If you can not, then favour organic even if homogenised (to avoid the growth hormones and antibiotics in commercial milk). 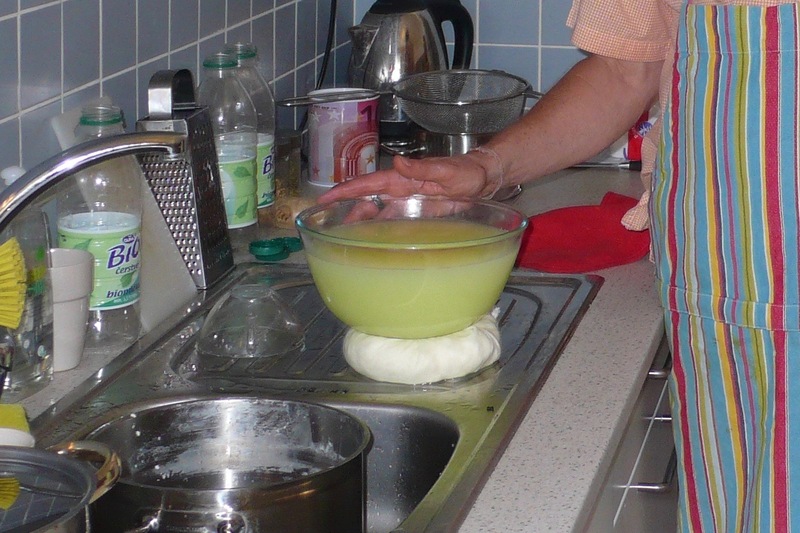 Making paneer de-constructs the damage caused by the homogenisation precess. Note the thick cream coming out of the bottle below! That is the way milk used to be! 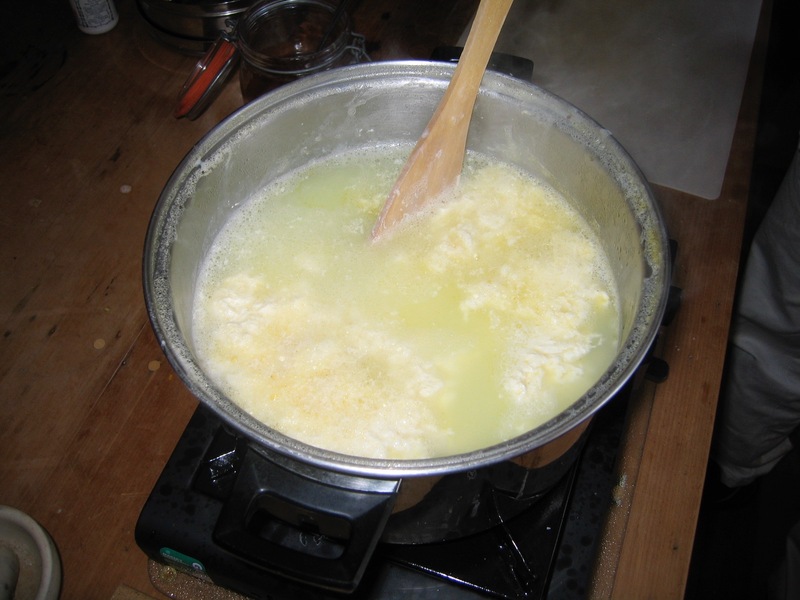 As it boils and begins to foam, take off heat immediately. 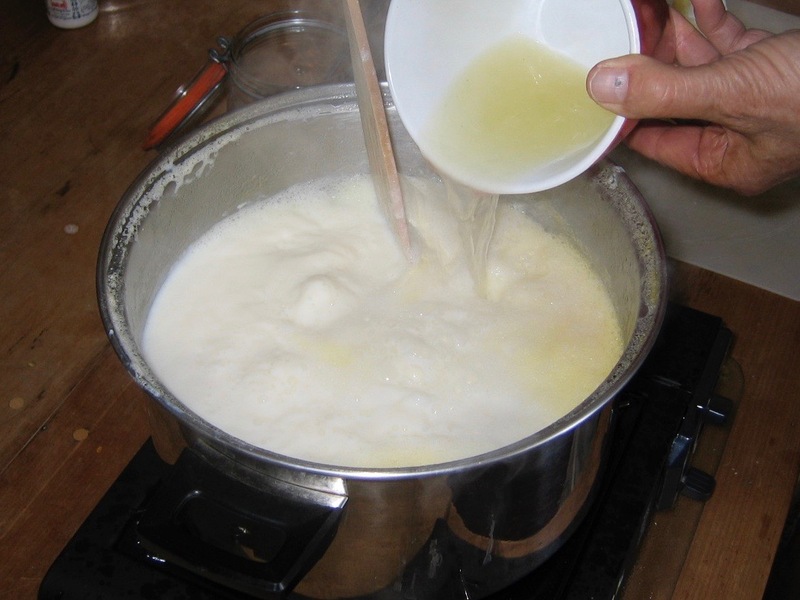 Immediately, slowly add the lemon juice an gently stir in through (about 1/2-1 lemon per liter of milk. It varies depending upon the freshness of the milk and tartness of the lemon. If the milk cools too much before doing this, it may not cuddle correctly. So be ready (have the juice squeezed and waiting) and be quick. 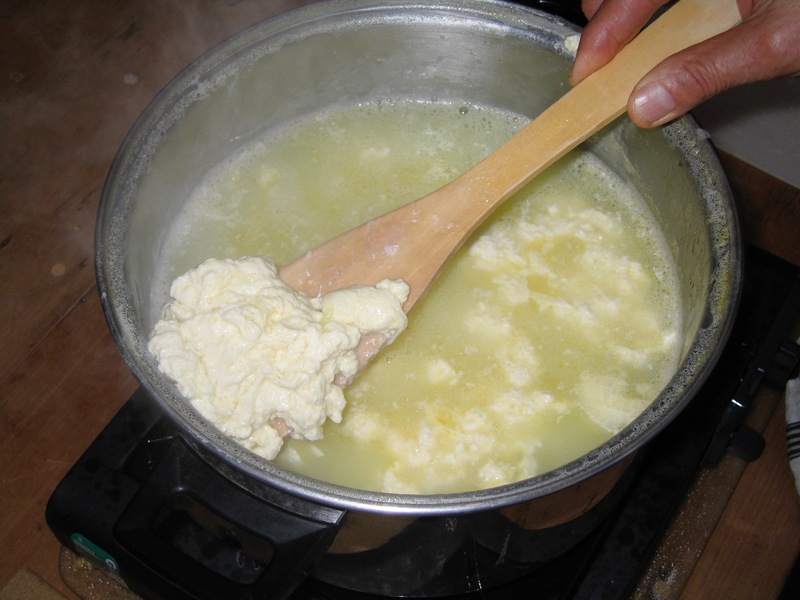 Almost immediately you will see the transformation occuring – small fleck of curd appearing in the milk. Keep slowly added the juice and stirring gently. All of a sudden, the liquid clears to a semi-opaque pale lemony colour, and the fresh fluffy pure white curds (cheese) float in the that. 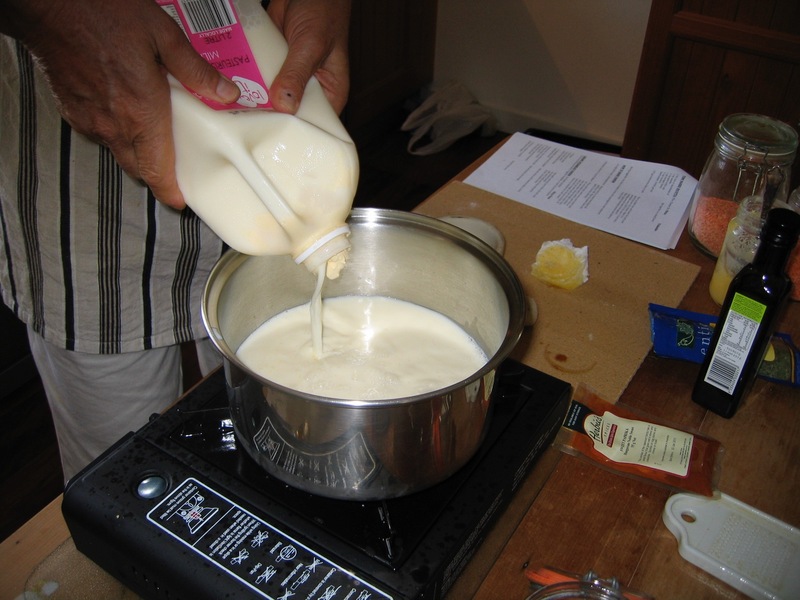 Note: you can use yoghurt to cuddle the milk and get a higher cheese yield. 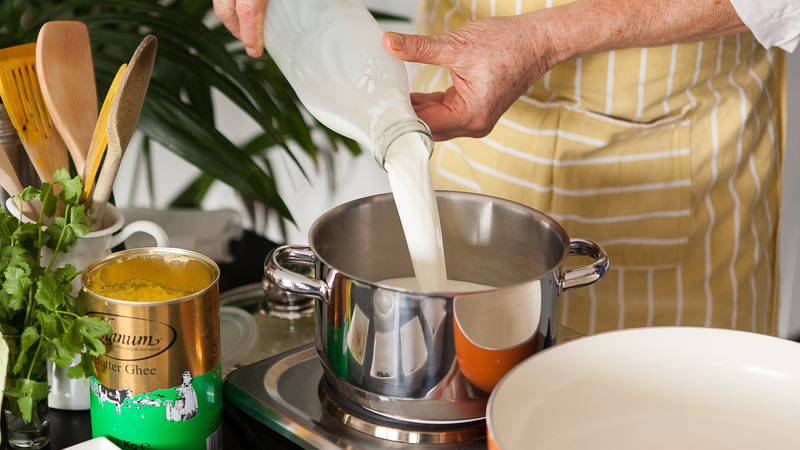 Add about 125 ml yoghurt to 1 liter of milk. It is nice to allow the paneer to settle down after the excitement of transformation for 5-10 minutes (if time and hunger allows). 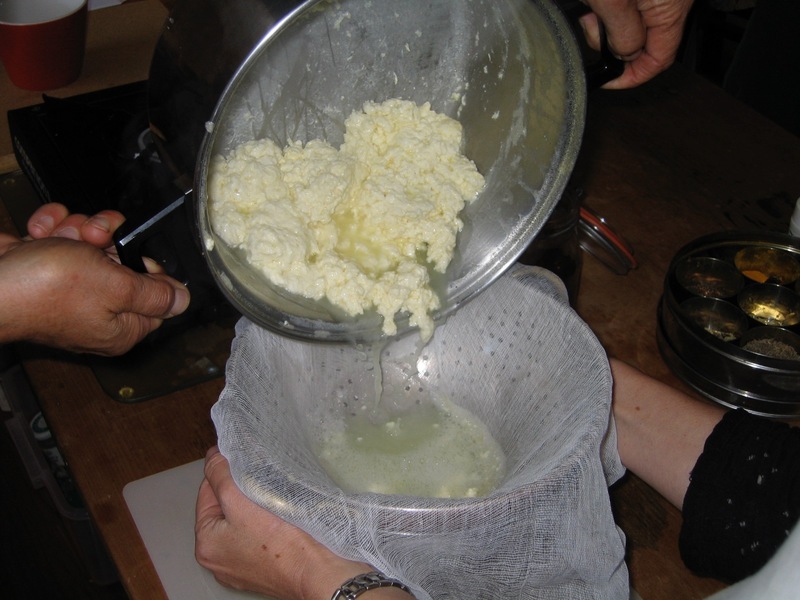 Now you have curds and whey. Remember the nursery rhyme? Now take a piece of cheesecloth (ah! 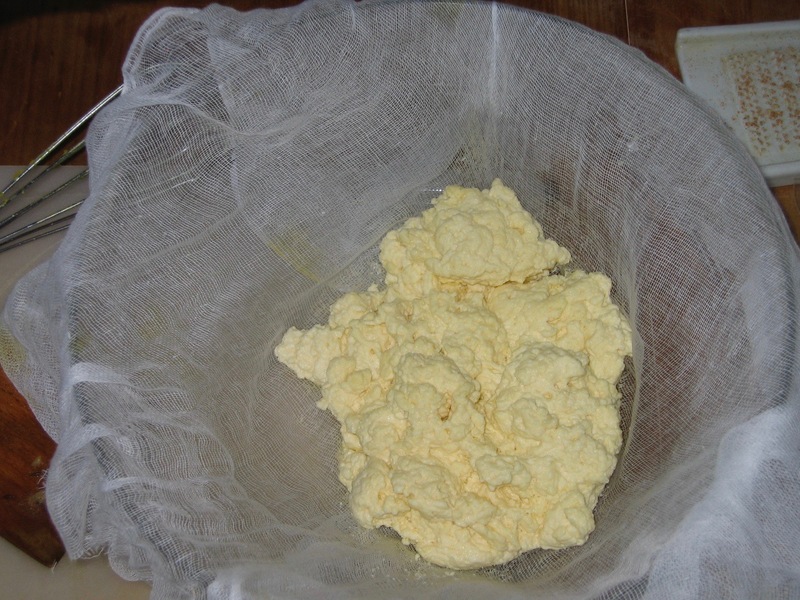 that is why it is called that) or even a clean tea towel will do and strain the curds from the whey. 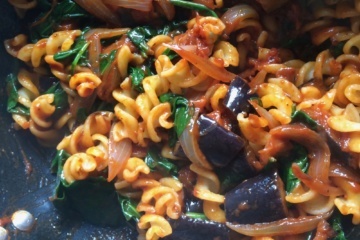 Allow it to drain for a few minutes or so, if using in ‘Scrambled Paneer’ and impress that overnight guest or lover at breakfast Or use like ricotta in a pasta dish (see Recipes/’Pandit in the Piazza’ menu). 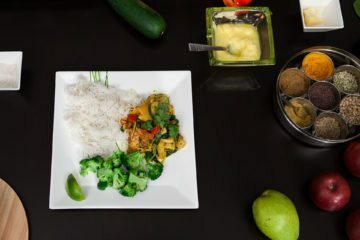 If you want paneer for added in pieces to a dish such as Palak Paneer (Spinach and Cheese) then compress it on the side of the sink with a weight. 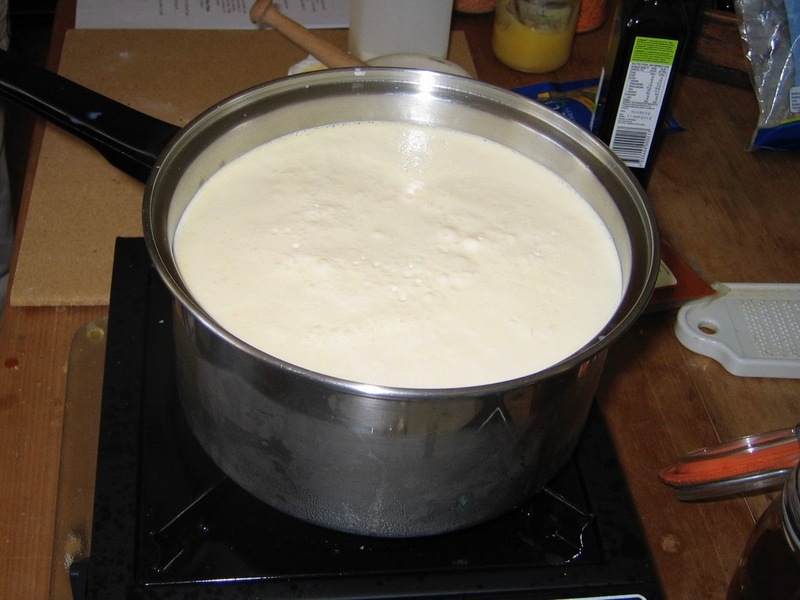 My experience is that the weight of the whey remaining is the perfect weight for a perfect paneer! Leave under the weight for about 20 minutes. 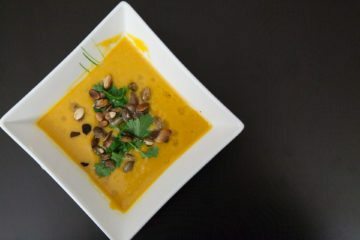 If using directly, now you can cut it with a knife to squares or pieces and add toward the end of cooking as it is. But even better is to gently fry it in butter or ghee (it takes a little skill) to golden brown, and then add it. 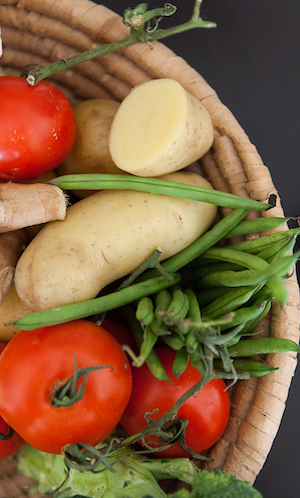 You can keep it wrapped in the cloth and in the fridge (but not for too long, please). This is very satisfying wizardry in the kitchen.